I pride myself on being a pretty organized person... well most of the time, unless I'm throwing away Mark's credit card or losing my social security card lol, other than that I keep it together. I attribute all my organizational goodness to my planner. It truly keeps me on track when it comes to my to-do list, important dates, and when our bills are due. It things aren't written down, I won't remember them, so it saves me. Everyone has different organizational needs but I think that starting with a planner will help to get you on the right path. There are so many planners out there so it can be a little overwhelming. I've round up a bunch that I familiar with and/or have used in the past. Currently, I am using the Erin Condren planner and I LOVE it. My exact version is show above, but with my name on it of course. I know that it's on the more expensive side but it has everything that I'm looking for in a planner. I like the horizontal layout the best because it's easiest for me to write in on a daily basis but also has a monthly view that I need. Plus it holds up for the whole year. Worth every penny! Target also has several great options in store but I couldn't find as many online. If you have a Target close to you, definitely go check it out. 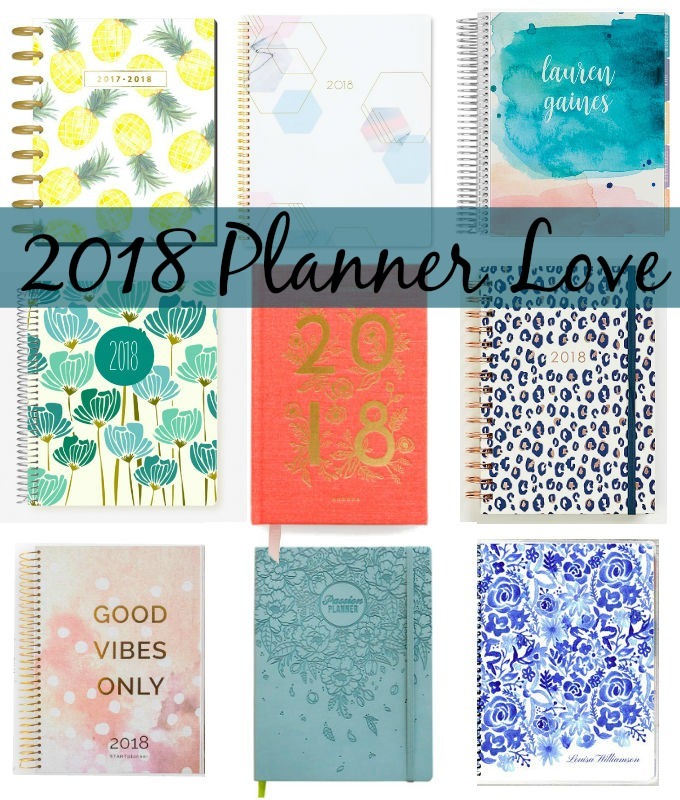 I hope these planners help you start your path to a more organized year!